Posted on August 25, 2013 at 4:19 pm, under asian pop, fashion. According to my archives, I average two airport fashion posts a year. 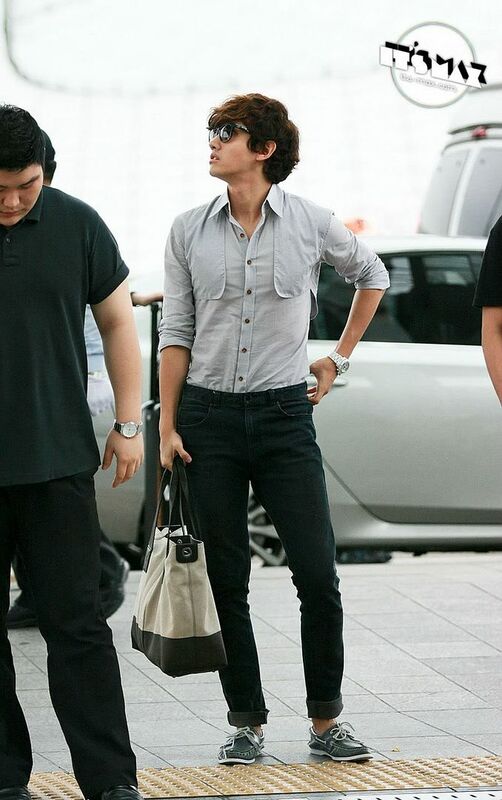 No matter, I’ve collected some good stuff in the year since my last airport fashion post, lol. These peeps are by far my favorites to keep an eye out for, style-wise: Kris (Exo), Krystal (f(x)), Hara (Kara), Jessica (SNSD), Taeyeon (SNSD). These are rising in the ranks: Jiyoung (Kara), Sehun/Chen/Luhan/Baekhyun (Exo), Sulli (f(x)). And these guys I generally always like, but don’t care enough about them/their groups to follow their style extensively: Gayoon (4Minute), Dasom (Sistar), Sohee (Wonder Girls). Posted on June 28, 2012 at 9:08 pm, under asian pop, fashion. Posted on February 8, 2012 at 5:47 pm, under fashion, inspiration. Posted on August 11, 2011 at 12:00 pm, under fashion. This is mainly just a collection of what Jessica wears to the airport. I’m slightly obsessed. I really wish I know where to find fantaken photos of Sohee, because I know she’d be a gem style-wise as well. Posted on March 15, 2011 at 11:56 pm, under asian pop, fashion. I sort of hate this new trend of airport fashion in Kpop, because it definitely did not exist on this sort of level up until maybe…2008. The scene has always pretty much been dominated by DBSK, because back then, they really were the only group that traveled substantially in and out of Korea. Everyone else…not so much. Then you get a bajillion groups debuting left and right in Japan, visiting their Thai fans like they’re all relatives of Nichkhun, overseas this and that. I mean, it’s fun to see what people wear on their “off” days, but it’s sort of now become such a trend to be on top of your airport fashion game that it feels more like a show and less like a reality of what these stars actually wear, you know? But nonetheless, it’s still fun to see what people own and wear outside of their stage outfits.